1. Click on Calendar View from Time sheet header. 2. The Time sheet will be displayed as follows. 3. View your Time sheet for your selected Time duration. 4. Log Efforts from the header of the Time sheet or by selecting the cell of Time sheet. Provide Effort Description and Time Spent (In hours). 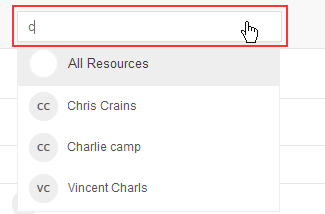 The resource name will be filled with login user. Link your Task if the Effort spent is for the specific Task.The field Link Task is not mandatory. This will allow user to log efforts without creating Task or User Story. View Timesheet for the selected Team Member by selecting the resource. 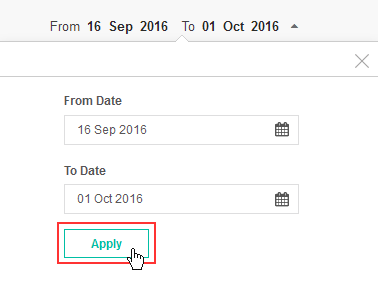 Log your effort for the selected date and if require link effort to Task. Availability of Team Member in hours. Work completed by Team Member in hours. Represent overloaded work for the Team Member.